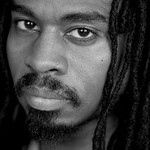 Akili Jamal Haynes is the musical director of the music ministry at Unity in the City in Brookline, Massachusetts. He is the faculty accompanist at Boston Conservatory, Jeannette Neil Dance Studios, Prometheus Dance Company, and Boston University Dance Department. He has performed as percussionist, multi-instrumentalist, and research assistant to Kimati Dinizulu (Alvin Ailey Dance Theater). He is the creator of a current multi-media work in progress called The Art & Soul of Chibuzo, in which he is an actor, vocalist, percussionist, trumpeter, bassist, pianist, dancer, script writer, composer, and band leader.